Jewish tradition places this event at the festival of Shavuot, also known by its Greek name, Pentecost. God gave His Torah at Pentecost and His voice went forth in all the known languages of the world to proclaim His Kingship on earth. Essentially, this is what happened in the book of Acts as well. The Apostles would have associated this experience with the original Shavuot, confirming that God was doing something related to that first event. When all of Israel had gathered in Jerusalem to celebrate Shavuot (Pentecost), something incredible happened. God once again revealed Himself in a powerful way. 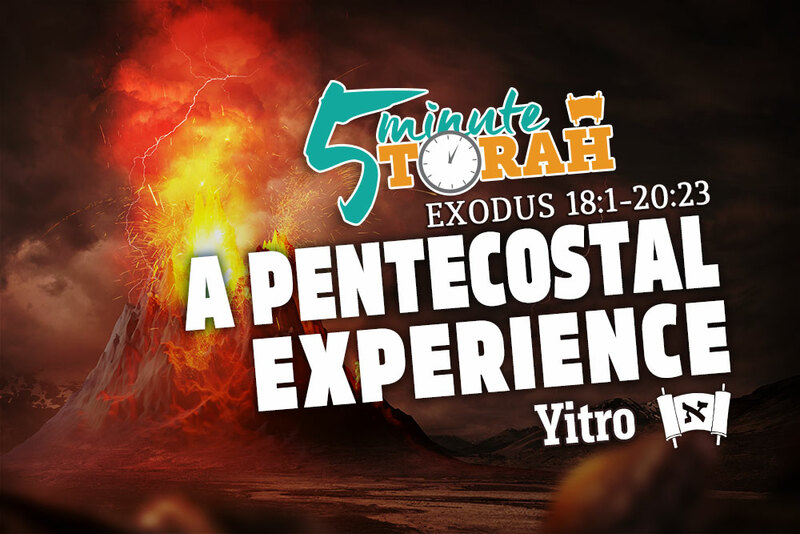 This time, however, it was in a way that transformed the hearts of Yeshua’s disciples and enabled them to live out the Torah’s precepts from the inside out. The Spirit began the work of renewing their hearts in fulfillment of the prophecies of both Jeremiah (31) and Ezekiel (36), as well as give them supernatural strength to share the good news of the Kingdom with all those who would hear. At the first Shavuot the Children of Israel guarded and protected the message. At the Shavuot in Acts Hashem used them to send His message forth into all the world. At the first Shavuot Hashem’s voice went out in every language, but only the Children of Israel heard it and responded. At the Shavuot in Acts Hashem’s voice went out in every language, but this time it came from the mouth of the Children of Israel and people from every nation responded. When most people speak of Pentecost and the Pentecostal “experience,” the focus is on the gift of speaking in a language unknown to them. For the Apostles, however, the experience was completely about transmitting Yeshua’s Kingdom message to people they would otherwise be unable to communicate with. What good is a gift if it’s never used for its purpose? The Apostles realized that their experience was for a higher purpose and utilized it to accomplish the will of God and bring untold thousands into the Kingdom.